(OPEN FOR BUSINESS®) Dr. Melissa Gratias, productivity psychologist talking about the three most unproductive behaviors of small business owners. Interview is 30 minutes. (SAVANNAH, GA) The Savannah Jaycees are now accepting nominations for Savannah area singles to be featured in the 2017 Charity Date Night Auction. The fourth annual Charity Date Night Auction will be held on Thursday, July 20 at 7 p.m. at Savannah Smiles Dueling Pianos,” located at 314 Williamson St, Savannah, GA 31401. To be considered, email nominations to the Savannah Jaycees at savannahjaycees@gmail.com. Nominations should include name, age, contact information, ideal date and an attached headshot. SHOULD EXECUTIVES SHARE POLITICAL VIEWS? (SAVANNAH, GA) The Center for a Sustainable Coast is hosting a celebration and conference on Saturday, June 17, to acknowledge 20 years of protecting Georgia’s coast. The program will discuss a retrospective of Georgia’s coastal issues and the profound challenges that lie ahead. This year’s keynote speaker will be Professor Geoffrey Heal discussing “How Neglecting Nature Threatens Our Prosperity.” The event is open to the public. Fee is $20 and includes buffet. RSVP here: 912-506-5088, https://www.facebook.com/Center-for-a-Sustainable-Coast-141003446180/timeline/ and www.sustainablecoast.org. (SAVANNAH, GA) The Marne Community & Spouses Club at Fort Stewart and Hunter Army Airfield, is seeking auction items for the ANNUAL 2017 BASKET AUCTION. Money raised will go toward scholarships to military families. Auction items needed before September 15, 2017. Last year, more than 60 baskets raised over $15,000. To donate items or a basket contact Jenny Peterson at Jennym_petersen@yahoo.com. (SAVANNAH, GA) The Center for a Sustainable Coast will host their 20th-anniversary conference on Saturday, June 17, to celebrate their continued efforts in protecting Georgia’s coast. The program will include a retrospective of Georgia’s coastal issues and a discussion about the profound challenges that lie ahead. The 20th-anniversary event will take place at 5 p.m. at the DeSoto Hilton of Savannah, 15 E. Liberty St. General admission is $20 and includes a buffet dinner. The Center for a Sustainable Coast encourages guests to RSVP in advance by phone at 912-506-5088 or email at susdev@gate.net. Since its opening in 1997, the Center for a Sustainable Coast’s board and staff have defended the public’s interest on a variety of topics including protecting water quality, tidal marshes, wildlife, and ocean shorelines. The Center for a Sustainable Coast was also an active member of the “Push Back the Pipeline” collaboration in coastal Georgia. The Center was awarded the Sapelo Foundation’s “Smith Bagley Advocacy Grant Award” in 2016 and was the 2007 recipient of the Common Cause Freedom Award for leadership in coastal marsh protection. The organization also co-founded the Coal Ash Legal Fund to campaign against high-risk landfill disposal of millions of tons of cancer-causing coal ash near the Altamaha River. 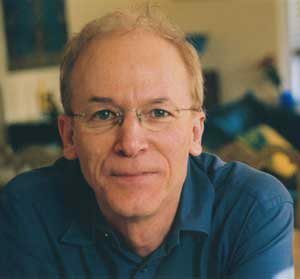 Professor Geoffrey Heal of Columbia University will be featured as the keynote speaker. He will discuss how neglecting nature threatens our prosperity. An open discussion will follow his address. Heal believes the only way to achieve long-term economic prosperity is to protect the environment. For more information, please visit http://sustainablecoast.org/. The Center for a Sustainable Coast was formed in 1997 by a group of public-spirited environmental professionals and concerned citizens. The Center’s mission is advocating responsible decisions that sustain coastal Georgia’s environment and quality of life. The organization seeks to improve our region’s ability to resolve key issues affecting the health and diversity of natural, cultural and economic resources by educating the public, using research, advocacy, training, technical assistance and – when needed – taking legal action. The Center for a Sustainable Coast also helped launch two of the region’s Riverkeeper groups. Visit https://www.facebook.com/Center-for-a-Sustainable-Coast-141003446180/timeline/ and www.sustainablecoast.org for more information. Geoffrey Heal is noted for contributions to economic theory and resource and environmental economics. He holds bachelor’s and doctoral degrees from Cambridge University and an honorary doctorate from the Universite´ de Paris Dauphine. He is the author of 18 books and about two hundred articles and is a member of the National Academy of Sciences, a fellow of the Econometric Society, past president of the Association of Environmental and Resource Economists, recipient of its prize for publications of enduring quality and life fellow, a director of the Union of Concerned Scientists, a founder, director and chairman of the board of the Coalition for Rainforest Nations and a member of the economic advisory board of the Environmental Defense Fund. Heal chaired a committee of the National Academy of Sciences on valuing ecosystem services, was a commissioner of the Pew Oceans Commission, an IPCC coordinating lead author for the fifth assessment report, a member of President Sarkozy’s Commission on the Measurement of Economic Performance and Social Progress and of the advisory board for the World Bank’s 2010 World Development Report and UNEP’s 2011 Human Development Report. The Savannah Jaycees is now accepting nominations for Savannah area singles to be featured in the 2017 Charity Date Night Auction. The fourth annual Charity Date Night Auction will be held on Thursday, July 20 at Savannah Smiles Dueling Pianos,” located at 314 Williamson St, Savannah, GA 31401. The event will begin at 7 p.m.
Savannah Jaycees’ selection committee will name ten men and ten women to participate in this charity event, raising money for 5 local nonprofit organizations. 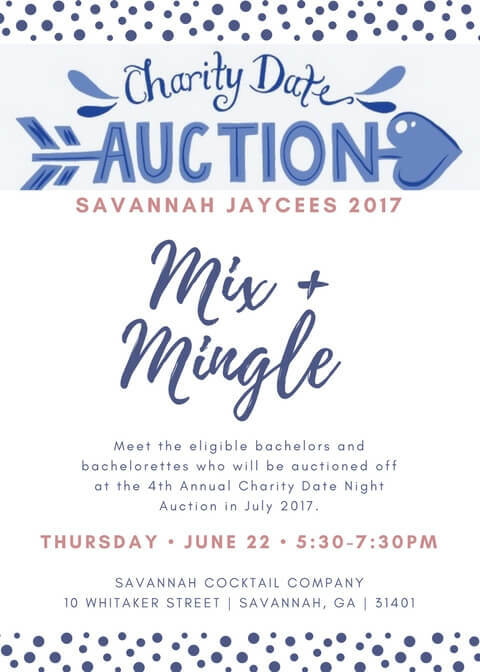 The Savannah Jaycees will also host a Mix & Mingle event prior to the auction on Thursday, June 22 from 5:30 p.m. to 7 p.m. announce all the auction participants and their charities. To be considered, email nominations to the Savannah Jaycees at savannahjaycees@gmail.com. Nominations should include name, age, contact information, ideal date and an attached headshot. Individuals may be nominated by friends and family. All applications will be reviewed by the Savannah Jaycees Charity Date Night Auction Nomination Committee. If selected, participants will be auctioned off with a date package. This fourth annual charity event will take place from 7 p.m. to 10 p.m. on Thursday, July 20th, at Savannah Smiles and will benefit six local charities (Ronald McDonald House of the Coastal Empire; the Reed House; ArtRise Savannah; Blessings in a Bookbag; and One Love Animal Rescue. Since the first Charity Date Night Auction in 2014, the Savannah Jaycees have raised over $15,000 for local charities. For more information on this event or the nomination process, contact Rachel Bishop at savannahjaycees@gmail.com. Recently making global headlines, a new variant of ransomware referred to as WannaCry has been put part of a large-scale cyber attack that has infected over 200,000 computer systems and over a 150 countries. Ransomware acts by infecting a computer through opening a malicious email or website which then encrypts your data to the user, in exchange for a payment to unlock (Decrypt) these files usually in the form of digital currency called Bitcoins. Infection can also spread to other network connected resources and perform the same operation locking an entire business from accessing their own data. At Speros we have multiple layers of defense from NOT being apart of this exploit. 1. SonicWALL firewalls are installed and up to date with latest Security definitions and at the Speros Data Center , scans all traffic incoming and outgoing blocking anything suspicious. This also performs website filtering that will help restrict access to sites known to host malware. 2. Barracuda Networks, our anti-spam email filtering solution, inspects all email messages, unusual content,infected attachments, malicious links etc. and quarantines those messages. 3. Speros Managed Services applies Windows Updates which are tested, approved and applied to each managed workstation and Managed servers. 4. Trend Micro Antivirus is installed on each workstation and server. In the event that a rogue piece of software does happen to come through the above layers of security, the antivirus software will quarantine the suspected files and alert Speros HelpDesk. In addition to the above security measures , Speros recommends backing up your data, your servers end or workstations , to ensure critical files are safe. While backups are not a level of prevention they are a layer of protection against loss whether from accidental or malicious intent. 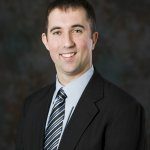 Jason Ryals is the Chief Technology Officer at Speros. Ryals’ certifications include VMware Data Center, ADTRAN Technical Support Professional, SonicWALL CSSA&CSSP, Microsoft Certified Enterprise Administrator, Linux & A-plus, Cisco, and IBM AIX Unix based server systems. 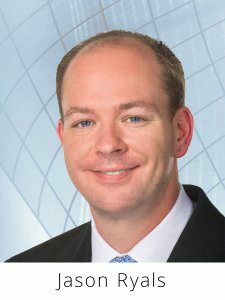 He has in-depth knowledge on troubleshooting Local Area Networks and Wide Area Networks, routing, VMware and complex software designed data centers, and SD-WAN solutions. For more information, visit speros.com, call 912-354-8900 or email info@speros.com. Tooth decay is actually one of the most common non-infectious diseases in the world. Many parents know at sugar intake is linked to cavities, but most don’t understand the science behind it. Looking at public health records, researchers from University College London and the London School of Hygiene & Tropical Medicine found that, in America, tooth decay from sugar was far too high. About 60 to 90% of school-age children and 92% of adults in the U.S. have experienced tooth decay. Now, as shocking as this may seem, sugar does not directly break down tooth enamel. Sugars found in candy and sweets are known as ‘simple sugars’, which are immediately consumed by the body. So how is it that sugar is the reputation for causing cavities? Unfortunately, when you enjoy a sugary treat, there is a special kind of bacteria that responds, called streptococcus mutans. This bacteria actively breaks down the sugar, converting it to acid. The acid, in turn, can eat away the enamel on teeth. Now more than ever, kids are faced with a bewildering array of food choices that include over-processed and sugar-laden convenience meals and snack foods, and many are consuming foods and drinks high in sugar and starches more often and in larger portions than ever before. For example, the average teenage boy in the U.S. consumes 81 gallons of soft drinks each year. Snacking throughout the day can really speed up the tooth decaying process. When sugar is consumed over and over again in large, often hidden amounts, the harmful effect on teeth can be dramatic. It’s important to be very mindful with your snacking, and always check the nutritional value of the item. When and what children eat may affect not only their general health but also their dental health. So, how do you stop these acids? Well, the combined forces of brushing and flossing are still the best methods for removing harmful bacteria and acid over your teeth. It’s important to start educating your child as early as possible on how to prevent early childhood tooth decay and to discuss proper brushing and flossing techniques. To access free online resources that can help with teaching children about good oral health, visit ADA.org. 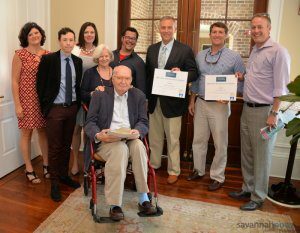 (SAVANNAH, GA) Felder & Associates, a Savannah architecture firm, has received two Historic Savannah Foundation 2017 Preservation Awards for their rehabilitation projects for two of the city’s best-known upscale restaurants, the Atlantic and Vic’s on the River. Both projects were recognized for their preservation of history. 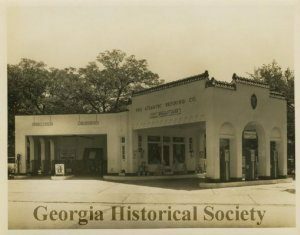 Atlantic, 102 E. Victory Drive, opened initially in 1930 as the Atlantic Refining Company Service Station for car washing and servicing. 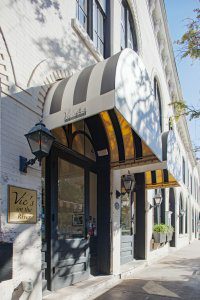 Vic’s on the River, 12-42 E. Bay St., which opened as Stoddard’s Range, was designed and built in 1859 by John Norris under the supervision of John Stoddard. The Atlantic Refining Company Service Station on the corner of Victory Drive and Drayton Street was renovated into professional offices in 1965 when the structure lost some of its original architecture. Thirty years later, the space gained a new owner and underwent remodeling until 2015 when the current owner and general manager, Jason Restivo, bought the property. Brian Felder from Felder & Associates and Restivo worked together to revitalize the original structure.To comply with site restrictions and zoning regulations, a low concrete wall with benches and planters was built to create a gathering space for guests to socialize around a central fire pit. Outdoor seating also is nestled under a large oak tree with intimate custom lighting. The primary interior area occupies the former portico and seats about 40 guests. Exposed brick and rafters, concrete flooring, and fresh new colors create a dual ambiance of traditional and modern. The space at Vic’s on the River has been home to a variety of businesses since it was built in 1859. Vic’s eventually came to occupy two of the bays on the third, fourth and fifth levels of the building and now fills three more stories of an adjacent bay as well. The ironwork balconies and railings replicate their historic precedents. The openness of the bay was preserved through dividing walls. All historic lath and plaster, as well as wrought iron surrounds, were saved and restored. The owner also rebuilt fireplaces to match the original designs. Established in 2012, Felder & Associates specializes in historic preservation, commercial architecture, adaptive reuse architecture, corporate interior design, high-end residential design, green building, and neo-traditional building. The firm has a staff of LEED accredited architects and interior designers who focus on sustainability. Locally, Felder & Associates is a member of the Savannah Chamber of Commerce and Historic Savannah Foundation. The firm is also nationally connected in the American Institutes of Architects and the United States Green Building Council. 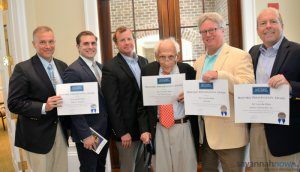 In 2014, Felder & Associates received an historic preservation award from the Historic Savannah Foundation and the best architecture firm award from Savannah Magazine. In 2015, the firm was recognized with the AIA Georgia 2015 Design Award in Renovation. 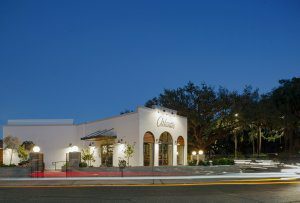 Felder & Associates has completed several well-known projects in the Savannah area, including: The Grey on Martin Luther King Jr Blvd; The United Community Bank on Johnson Square; Atlantic at the corner of Drayton Street and Victory Drive; the Bouhan Falligant building on Park Avenue; and the Ghost Coast Distillery on Indian Street. 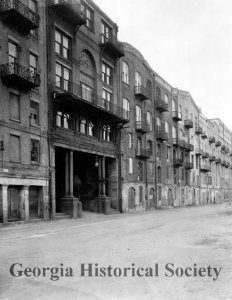 Historic Savannah Foundation is a nonprofit historic preservation organization supported by a strong and dedicated membership. It was established in 1955 to save the 1820 Isaiah Davenport House from demolition. From this initial project, Historic Savannah Foundation launched a revolving fund that has saved 360-plus buildings. The mission of Historic Savannah Foundation is to preserve and protect Savannah’s heritage through advocacy, education and community involvement. For more information, visit www.myHSF.org or www.DavenportHouseMuseum.org. (SAVANNAH, GA) Park Place Outreach Youth Emergency Shelter is pleased to announce its 2017 Board of Directors and Executive Officers. Todd Cellini was appointed to a two-year term as President for the non-profit organization in 2016 and will serve the remainder of that term this year. Cellini is President of South University, Savannah. 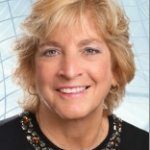 Other members of the Executive Board include Jack Levine as Immediate Past President, Elizabeth Bratz as Vice President, Joyce M Roché as Secretary, and Jennifer Widincamp as Treasurer. The Board is also pleased to welcome two new members, Susan Speros and Jennifer Barrett, along with returning member, Marolyn Overton, who had previously served as President of Park Place Outreach Youth Emergency Shelter. 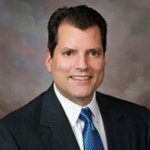 Speros is president and CEO of Speros, a full-service technology company headquartered in Savannah. 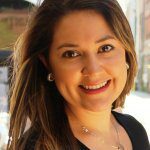 She is known for being a forward thinking entrepreneur and has been actively building businesses most of her life. 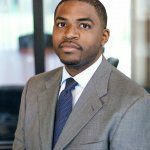 Barrett is Talent Strategy Manager for TMX Finance in Savannah. 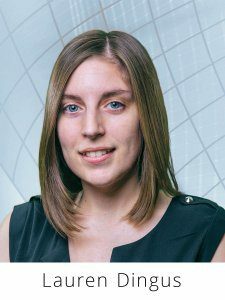 In this role she leads talent initiatives and combines a strategic focus with hands-on responsibility for executing mid-to large-scale projects through initiation, planning, execution and close. Returning Board members also include Salita Hill, Alfred McGuire, Chris Nowicki, and Chris P. Sotus. DaShauna Kimble, Assistant Director of Operations will oversee the shelter until Monday, May 8, when the new Park Place Outreach Executive Director starts. Park Place Outreach operates the only shelter in Savannah and Chatham County serving youth age 11 to 17 and all services are provided free, including a safe, secure place to stay along with meals and transportation to and from school. Since opening in 1984, the organization has helped over 6,200 area young people find shelter and thousands more find stability. For more information, visit http://parkplaceyes.org. Park Place Outreach Youth Emergency Shelter, located at 514 E. Henry St., provides support for troubled children and teens in Savannah and the surrounding area. Opened in 1984, the shelter, open 24 hours a day, offers youth, between the ages of 11 and 17, a safe and loving environment. Homeless, abused or runaway teenagers can self-admit themselves into this shelter. The Street Outreach Program team offers mentoring to resident adolescents and provides counseling, clothing and personal care items to teens and young adults up to age 21 that are in need and might not come into the shelter. Whenever possible, the organization’s goal is to keep kids off the street and reunify families. With the generous support of local organizations and individuals, Park Place Outreach has helped more than 6,200 area young people find emergency shelter and thousands more find stability through its non-residential programs. Park Place Outreach is an equal opportunity provider and employer. For more information, visit http://parkplaceyes.org or join the group on Facebook (ParkPlace) and Twitter (@parkplaceyes). 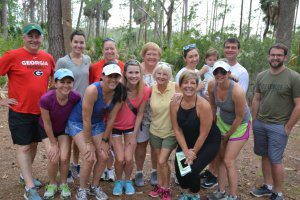 (SAVANNAH, GA) In recognition of Melanoma Awareness Month, Dr. Corinne Howington of Low Country Dermatology lead a skin cancer awareness excursion — “Melanoma, Take a Hike!” — at Skidaway Island State Park. Howington and her staff led a short hike along the park’s scenic trails, sharing facts and prevention techniques for melanoma and taking questions. The hike was originally planned to span 3-miles, but was shortened due to inclement weather issues. Dr. Corinne Howington of Low Country Dermatology and her staff lead a three-mile hike for skin cancer awareness at Skidaway Island State Park, sharing facts and prevention techniques for melanoma. Pictured: Left to right front row: Sherri Spellman; Dr. Corinne Howington of Low Country Dermatology; Skylar Lanier; Sherry Williams; Cecilia Russo Turner; and Elizabeth Brennan; Low Country Dermatology Physician Assistant. Left to right back row: John Spellman; Elise Spellman; Kelli Hartley, Low Country Dermatology office manager; Roz Hager; Megan Haubein; Heather Haubein; Bobby Haubein and Josh Hodnett. National Melanoma Skin Cancer Awareness Month, designated by the American Academy of Dermatology, is celebrated in May to raise awareness of the risk of skin cancer and increase the chances of early detection. 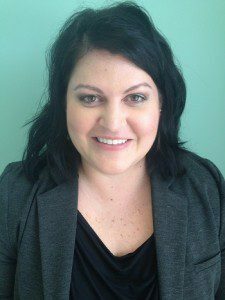 Howington is a board-certified dermatologist with expertise in medical, surgical and cosmetic dermatology. She and her staff gave participants SPF30 sunscreen, which has been shown to prevent the onset of some types of skin cancer. Low Country Dermatology specializes in the treatment of adult and pediatric diseases of the skin, hair and nails. 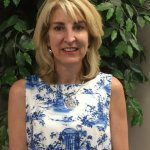 Dr. Corinne Howington is a board certified dermatologist with expertise in medical, surgical and cosmetic dermatology. Low Country Dermatology is located at 310 Eisenhower Dr. Suite 12A Savannah, GA 31406. For more information, visit lcderm.com. (SAVANNAH, GA) The Fourth Annual Scholarship Gala for Bethesda Academy was held atThe Plantation Club at The Landings. This event supported the Gateway Scholarship Fund and celebrated Bethesda Academy’s 22 seniors in the Class of 2017 the evening before they graduated. The keynote speaker this year was President H. Michael Hughes, Ph.D., who addressed “The Future of Bethesda Academy.” Overall, 95 percent of Bethesda Academy students graduate on time, and 85 percent of Bethesda Academy students go on to college. 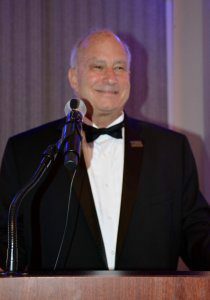 This year’s Scholarship Gala was sponsored by Envirovac, South State Bank, THA Group, Seacrest Partners, enmarket, Visit Savannah, The Plantation Club, and The Kennickell Group. For more information on the event, visit http://www.bethesdaacademy.org/giving/special-events/scholarship-gala/. 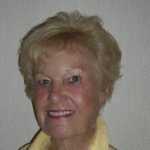 Academy President H. Michael Hughes, Ph.D.
(SAVANNAH, GA) Savannah ObGyn is pleased to announce the launch of its newly restructured website, http://savannahobgyn.com. Designed by Speros, a full-service technology company headquartered in Savannah, the site includes resource tabs that provide patients with educational information such as real patient stories about minimally invasive robotic surgery performed with the da Vinci Surgical System; and educational videos and handouts from the American Congress of Obstetricians and Gynecologists. Bright and welcoming in shades of teal and green, the website also offers downloadable forms for patients and information about participating insurance carrier networks, as well as a link to Savannah ObGyn’s Facebook page. Built on a custom WordPress platform, the website allows the office to make updates to their site and additionally features tracking services via Google Analytics. Savannah ObGyn is full-service obstetrics and gynecology practice serving the needs of Southeast Georgia and South Carolina since 1995. Its physicians and nurse practitioners offer comprehensive women’s health services in a friendly and caring environment, helping patients manage their health through all stages of life, from adolescence through the reproductive years and into menopause.